MANILA, Philippines — A bettor from Alfonso, Cavite won the jackpot of the 6/42 Regular Lotto drawn on Tuesday night, the Philippine Charity Sweepstakes Office (PCSO) said yesterday. Alexander Balutan, PCSO general manager, said the still unidentified bettor hit the six-digit winning combination 19-31-21-22-07-35, which had a jackpot of P49,659,101. Balutan said the bettor bought the ticket from a lotto outlet in Barangay 2. 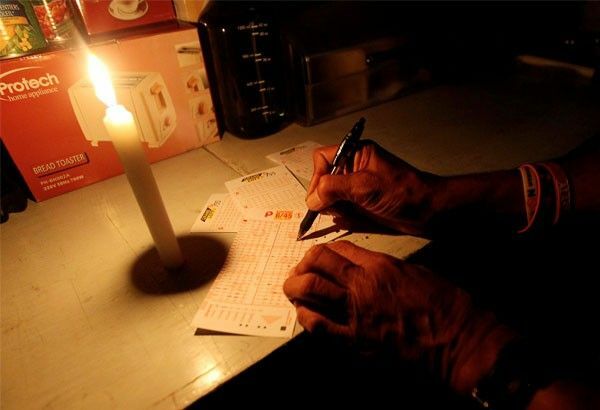 Meanwhile, there are no winners of the 6/49 Super Lotto with a total jackpot of P26,593,246 and 6/58 Ultra Lotto with a jackpot of P320,056,960, which were also drawn on Tuesday.